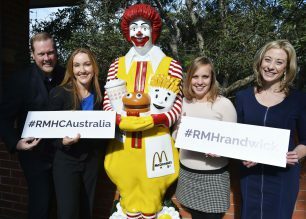 Ronald McDonald House is one of the most recognised charities in the world. Their ability to house over 3000 families every day worldwide, in 366 houses across 42 countries, means that it is vital for them to have stable and efficient communication. Starting in 2017, Kilimanjaro has not only provided support to Ronald McDonald House Charities in Australia through the implementation of MYOB Exo software and support services but has taken part in initiatives to help families in need. Today, we would like to share the journey that Kilimanjaro has had with RMHC, starting with implementing Exo in all 13-chapter houses and being part of the initiative to reduce the stress in everyday tasks. Ronald McDonald House Charities was established in 1989 and since then has continued helping families in need. Each year the Charity faces the challenge of raising funds as the number of families requiring support increases. The continuous growth of this inspiring charity meant that manual labour and paperwork became tiresome, and with 13 chapter houses across Australia running on individual programs, RMHC needed software they could count on to eliminate chaos and uncertainty. To reduce a national headache for the charity, Kilimanjaro implemented MYOB Exo at the start of 2017. This relieved RMHC of various accounting and reporting problems, allowing them to put more time and effort into what mattered: the families and their children’s well-being. Exo was able to successfully decrease the amount of manual labour and paperwork considerably by introducing automation and EDI. This effectively allowed RMHC to run steady and effective communication. It was a pleasure to have been able to help such an inspiring organisation that gives back to the community. It is important for the team at Kilimanjaro to engage with corporations with a commitment to corporate social responsibility. Apart from implementing Exo for all 13-chapter houses, Kilimanjaro participated in one of RMHC’s amazing initiatives ‘Make-a-Meal’. This was in line with our own Corporate Social Responsibility program and provided the Kilimanjaro tribe with unforgettable team building experience. We thank RMHC for letting us be a part of it. Check out the entire story of how MYOB Exo was able to provide RMHC with significant benefits, including improved efficiencies and greater visibility of all business functions or contact us to discuss your business requirements today.